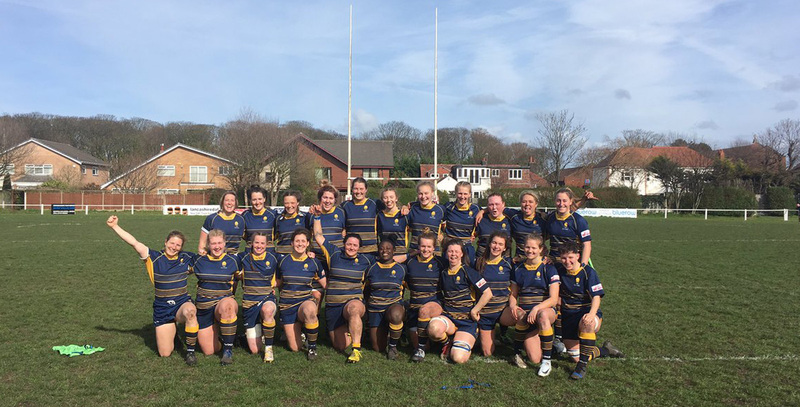 Valkyries secured a landmark first-ever victory in the Tyrrells Premier 15s with a thoroughly-deserved victory at Blundellsands on Saturday. A draw on their last visit to Waterloo in December 2017 had been Valkyries’ previous most-rewarding match in the competition but their historic win, at the 35th attempt, came after a run of improved and tenacious displays this season. Valkyries also made the victory a bonus-point one with Lydia Thompson, Vicky Foxwell, Vicky Laflin, Alisha Butchers and Cara Clarke scoring tries in a dominant display. Waterloo responded with a brace of tries from Lauren Delany and another for Vanessa Temple which caused Valkyries a few anxious moments but which failed to stifle their celebrations at the final whistle. Roy Davies’ side started the game as they meant to go on; on the front foot. Early breaks from Butchers and Clarke took Valkyries deep into Waterloo territory, creating a platform to work from. The pressure finally told on ten minutes when England wing Thompson marked her return from an injury lay-off by opening the scoring. Holding her width, she plucked an inch-perfect Megan Goddard cross-field kick out of the air before dotting down in the corner. The hosts replied instantly when they won a scrum from the restart and off the back of that, drove upfield before spreading to Delany who beat a couple of tackles before going over. Waterloo followed up with a flowing backs move which was finished in the corner by Temple. Valkyries were soon back on terms as Goddard’s kicking proved decisive again. A grubber into Waterloo’s 22 was knocked on and from the resulting scrum, she hit Foxwell flat and the centre ran in unchallenged under the posts. Valkyries began the second-half on fire with a score in the opening minute. Clarke recovered the kick-off before racing into the Waterloo 22 and taking contact. The ball was quickly spread out wide where Laflin touched down to put Valkyries back ahead. Waterloo looked for another instant response but resolute defence kept them at bay and forced errors from the hosts. Those errors were capitalised on when Butchers went over for the bonus-point try. 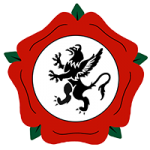 The score resulted from a penalty kicked into the corner by Foxwell with the lineout being driven across the line by the pack. Valkyries’ tempo off the ball kept them in control of the game and another turnover led to the fifth try of the day. Waterloo were making headway into Valkyries’ 22 but Davies’ side stood strong and came out with the ball. After building up the right, the ball was worked across to the left wing where Clarke was free to run in to add security to the scoreboard. Waterloo did not go down without a fight. Delany went over again before they piled on the pressure in the final ten minutes but Valkyries came together in a great defensive effort to close out the win. 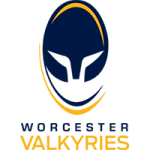 Valkyries next game sees a return to Sixways as they welcome Darlington Mowden Sharks on Saturday 30 March (kick-off 3.00pm) for the final round of Tyrrells Premier 15s fixtures this season. The match will be played as the first leg of a double-header at Sixways with Warriors hosting Harlequins in the European Challenge Cup quarter-finals at 8.15pm. Valkyries | 15 Carys Cox, 14 Lydia Thompson, 13 Vicky Foxwell, 12 Meg Varley, 11 Cara Clarke, 10 Megan Goddard, 9 Lucy Lockhart; 1 Akina Gondwe, 2 Lark Davies (C), 3 Laura Keates, 4 Stacey Maguire, 5 Lyndsay O’Donnell, 6 Laura Thomas, 7 Alisha Butchers, 8 Lisa Campbell.